There are many species of Cendrawasih but the most famous are the large yellow Cendrawasih (Paradisaea apoda). This bird that becomes Papuan mascot has beautiful feather colours. 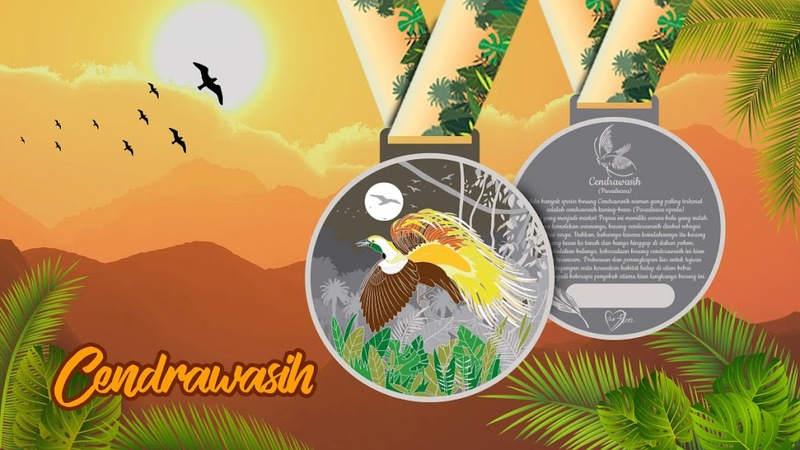 And because of the colour elegance, Cendrawasih is called as the bird from heaven. The existence of Cendrawasih is increasingly threatened. Illegal hunting as well as habitat damage in the wild are some of the main causes of the increasing scarcity. Today these exotic beautiful birds are categorised as protected species. Run for a reason! Donated IDR 30,000 for World Wildlife Fund for every registration. In Indonesia, several species of Cendrawasih including small yellow, botak, raja, red and toowa are included in the list of protected species. The use of Cendrawasih feathers is still allowed only for the benefit of local people in decorating their traditional clothes, but fortunately the Papuan people have the local wisdom and customs to help preserve this bird.